IT’S World Cup Fever again; perhaps more so in some countries than in others. In Malaysia, the time difference between Kuala Lumpur and Moscow means that matches take place at 8pm, 11pm or 2am Malaysian time. In Dakar, the hours are more agreeable — noon, 3pm, and 6pm. But the major difference is that Senegal is competing in the World Cup, while yet again, Malaysia is a mere observer. Having never lived in a country that has qualified for the World Cup in a year when the World Cup is being held, I find the whole experience of being in Senegal at this particular time exciting, to say the least. Even though the matches officially kicked off on June 12, 2018, it was not until June 19 that this West African nation finally fully succumbed to football fever. That was the day when Senegal began its campaign in the World Cup, with a 3pm match against Poland. The other two teams in Senegal’s Group H are Japan and Colombia, who had played against each other earlier with Japan picking up the three points. It was not as if before that first match Senegal was oblivious to the World Cup; it was just that there was not as much publicity as one would have expected from a World Cup qualifier. 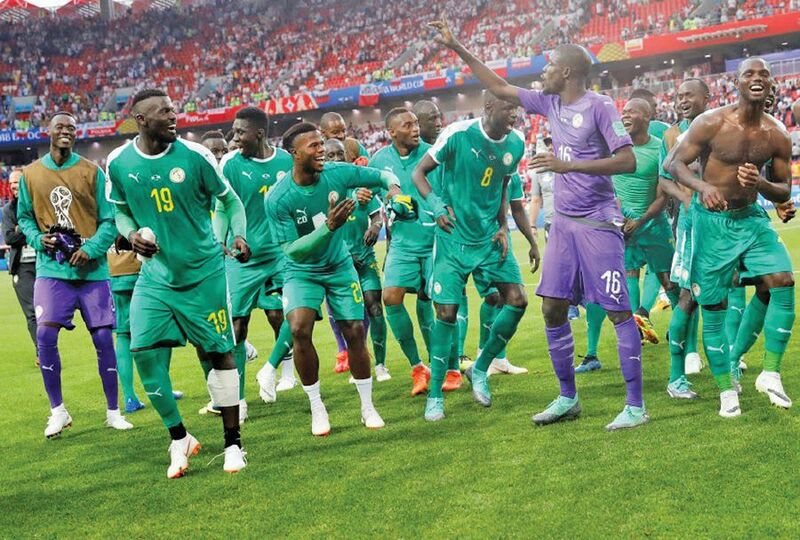 A few billboards had gone up, wishing the Teranga Lions well, and people were generally happy that Senegal had again qualified to play in the biggest and most coveted football league in the world. But there were no lavish display of the national flag, or football keepsakes, and peddlers were not trying to sell those small flags that you can wave in the air to show your support for the national football team. The Senegalese were, by and large, not getting excited over what Malaysians would have swooned over for days on end had it been the Malaysian team that qualified for the World Cup. All that changed on June 19. Suddenly the country was enveloped in football fever. There were people on the streets selling flags, T-shirts, wristbands, and mufflers, while cafes and bars had overnight put up mega TV screens. The last time Senegal was in the World Cup was 2002, and it was also the first time ever that they had qualified for the event. That was the year when Japan and the Republic of Korea co-hosted the World Cup. That year, Senegal made it all the way to the quarterfinals before losing to Turkey by a single goal. The team went home happy — they had stamped their name on the world stage. Over the next few years, Senegal’s brightest and best football players were courted by European clubs. If prior to 2002, most of the players were only known to the French clubs, by the end of the 2002 World Cup, international clubs began wooing Senegal footballers. This year’s big names in the Senegalese squad play for Everton (Gueye), Liverpool (Manè) and Westham United (Kouyatè). The others play for other clubs in England, Germany, Italy, Monaco and Turkey, in addition to their traditional clubs in France. The Teranga Lions did not disappoint in their opening match against Poland. Since my Senegalese friends did not invite me to watch the match with them, I happily went to one of the cafes with my Polish friends and their families. Fortunately, sports is one of those occasions when diplomacy does not have to be exercised, especially when you’re rooting for a team that your host isn’t. Senegal became the only African country at this 2018 World Cup to win their opening match — a feat that all the commentators have touted, and which Senegal is rightly proud of. More and more the talk at the social places centred on the World Cup and Senegal in particular. There is hope in the air that this team might be able to deliver more than what they were expected to. Senegal is not a football-crazy nation the way Malaysia is. We live, breathe, passionately follow, and then get into heated arguments over football clubs and their players. And yet we have yet to qualify for the World Cup. Like Malaysia, Senegal trains its young football talents and nurtures them. It has now twice qualified for the world’s biggest sporting event. Perhaps there is much we can learn from this West African nation after all. Dr Shazelina Zainul Abidin is a foreign service officer and an honorary research fellow of the University of Sheffield. These days, she writes primarily on international affairs, with a particular emphasis on Africa.